I know we haven't had much luck shooting you out of this cannon but maybe that's because we haven't used enough gun powder. Don't blame me. I didn't do it. 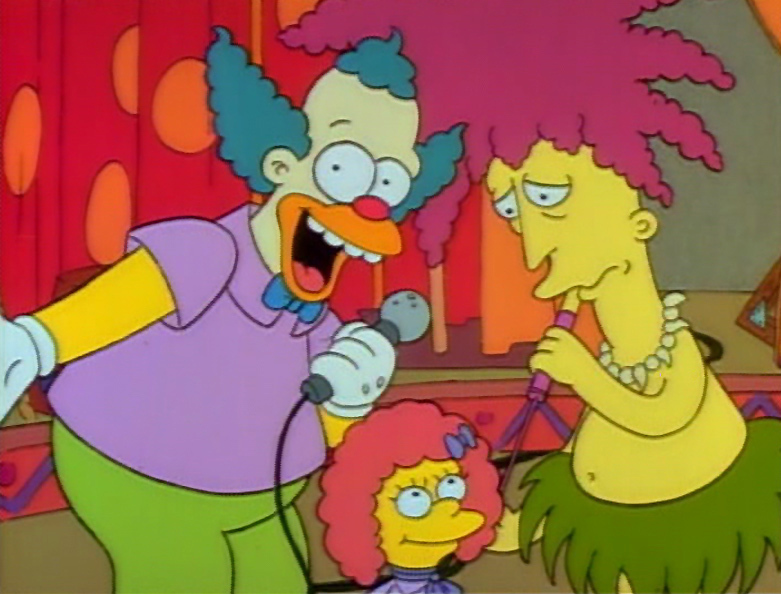 Comedy, thy name is Krusty. If cartoons were meant for adults they'd put them on in primetime. Mmmm Chocolate... oooh double chocolate. (gasp) New flavor! Triple chocolate. Perhaps a little something for the trip back to the cash register. What's the matter sir? Never have I seen you look so unhappy while purchasing such a large quantity of ice cream. The reason I look unhappy is that tonight I have to see a slideshow staring my wife's sisters. Or as I call them, The Gruesome Twosome. Yes, yes. I know the procedure for armed robbery. I do work in a convenient store you know. 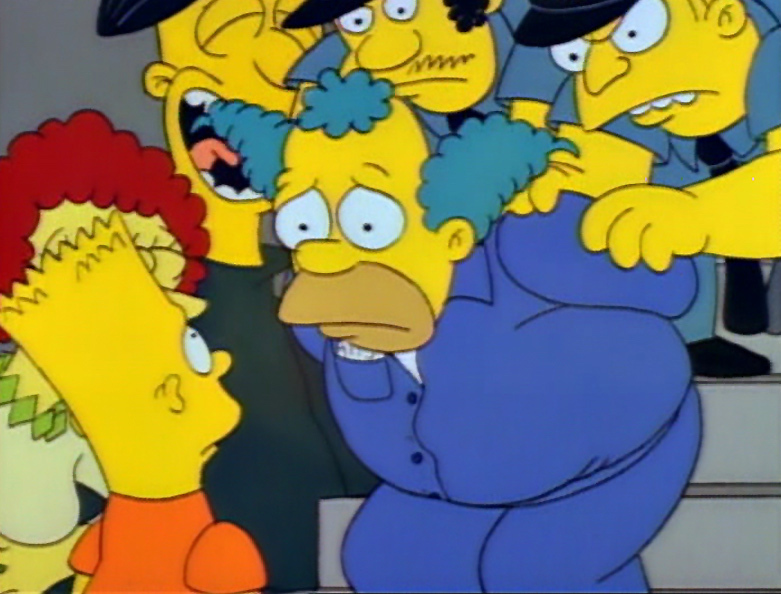 Krusty the Clown, you are under arrest for armed robbery. You have the right to remain silent. Anything you say, blah blah blah, blah blah blah blah. Well, if the crime is making me laugh, they're all guilty! He He He. And this is all the mail that awaited us upon our return. And this is Selma dropping off our vacation film to be developed. Thus concludes our Mexican odyssey. Are you kidding? He's my idol. I've based my whole life on Krusty's teachings. Earth to Marge. Earth to Marge. I was there. The clown is G-I-L-L-T-Y. I urge every halfway decent member of our community to gather up all merchandise that bears the likeness of Krusty-the-Clown-prince-of-corruption and join me in a public burning! Good people, I'm so happy you're all here tonight but please just a few words of caution. Now, we are going to set this vile of evil ablaze but because these are children's toys the fire will spread quickly so please stand back and try not to inhale the toxic fumes. My young friends, for years I have been silent, save the crude crescendos of this primitive wind instrument. But now destiny has thrust me into the center ring. In the coming weeks you will notice some rather sweeping changes in our program. Please do not be alarmed. Itchy and Scratchy will still have a home here but we will also learn about nutrition, self esteem, etiquette and all the lively arts. Hey, hey, this is not a lending library. If you are not going to buy that thing put it down or i'll blow your heads off. Attention fellow children. 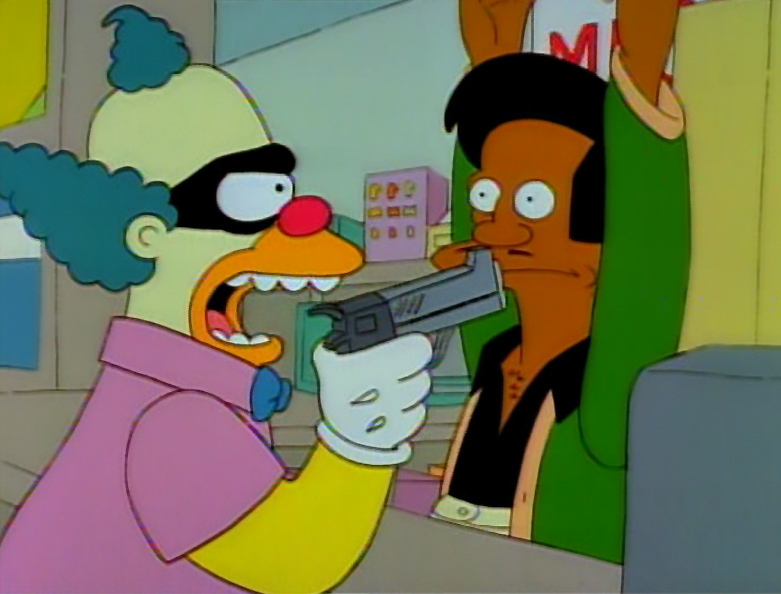 Krusty didn't rob that store. 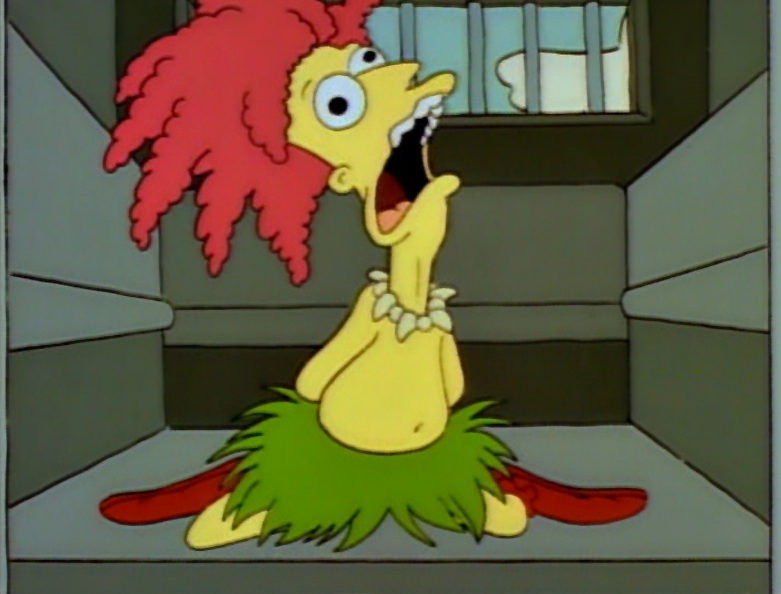 Sideshow Bob framed him and I've got proof... See that! Krusty wore big floppy shoes but he's got little feet like all good hearted people. Yes, I admit it. I hated him. His hackneyed shenanigans robbed me of my dignity for years. I played the buffoon while he squandered a fortune on his vulgar appetites. That's why I framed Krusty and I would've gotten away with it too if it weren't for these meddling kids. Well, we made a terrible, terrible mistake... uh, won't happen again.